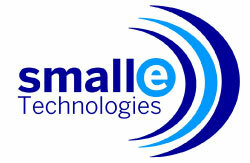 Smalle Technologies works in the energy harvesting industry. The company owns technology designed to transduce mechanical energy into electrical energy through an innovative electromagnetic system design, and will commercialise a device for generating electricity from low frequency oscillations. The first applications of the device are buoys and sailboats. Due to increasing global scarcity of traditional energy sources, society is currently demanding autonomous energy systems for a wide range of applications. Buoys and sailboats need alternative energy sources to recharge their batteries in the middle of the ocean. Smalle Technologies devices can generate clean electrical energy from the movement of the waves. Its devices are able to work at random and in low wave frequencies. They are also plug and play products, suitable for marine environments and able to resist extreme weather conditions. Smalle Technologies designs and develops devices for generating electrical energy from oscillating movements. These small devices generate clean energy from movement, working independently of weather conditions 24 hours a day, are long-lasting and have an acceptable size and weight. They are also silent, and affordable.